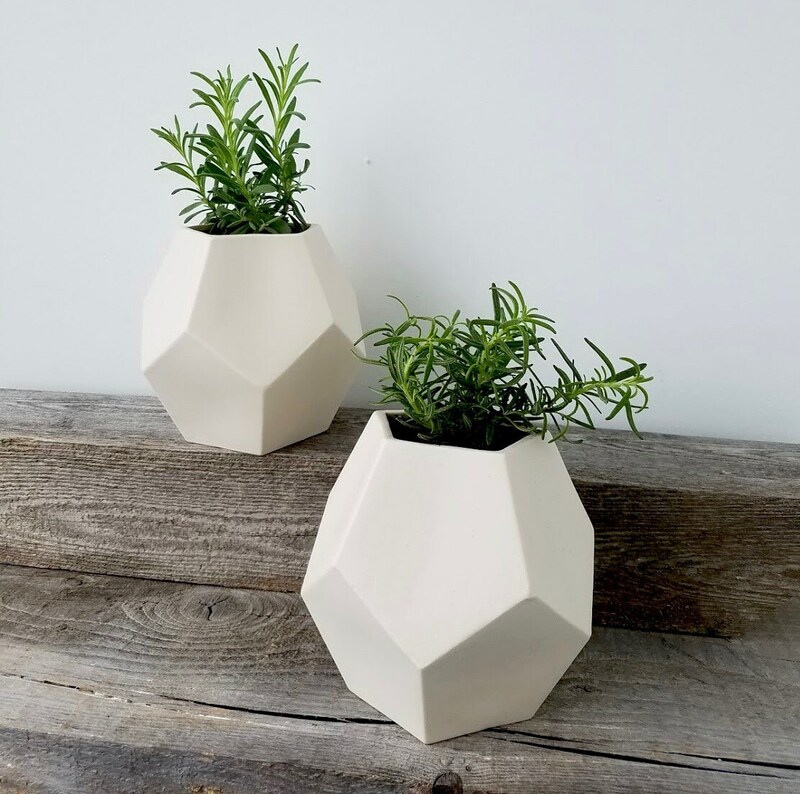 Use as a planter or a vase. 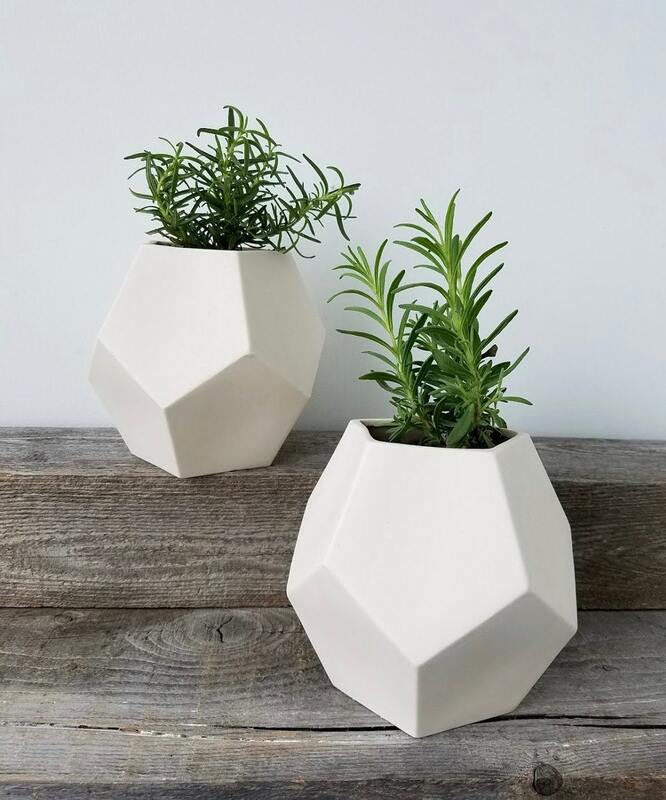 Our porcelain geometric pentagon planter is available with our without a drainage hole. This beautiful white surface is perfect with any modern decor setting.